New Delhi: The appointment of Atul Kumar Rai as chief executive officer (CEO) and managing director of Industrial Finance Corp. of India Ltd (IFCI) should be inquired into by the Central Bureau of Investigation (CBI), a parliamentary panel has said. 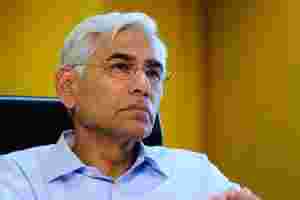 Vinod Rai and Atul Rai could not be immediately reached; spokespersons for Comptroller and Auditor General of India and IFCI declined to comment. The parliamentary panel was looking into a complaint by Rajiv Pratap Rudy, Bharatiya Janata Party (BJP) member of the Rajya Sabha, accusing Atul Rai of misbehaving with him, constituting breach of parliamentary privilege. Rudy said the incident took place in January 2010 when he visited Atul Rai for official reasons. The committee started its investigation in April 2010. The government’s stake in IFCI led the committee to summon finance ministry officials for further investigation, thereby going into Atul Rai’s appointment. The panel found that Atul Rai gave a false declaration and suppressed vital information before taking up the IFCI job. “From a perusal of the relevant file notings, particularly by the then joint secretary and secretary, department of financial services, the committee is constrained to believe that in a collusive effort, undue favour was given to Shri Rai (Atul Kumar Rai) by wrongly interpreting the civil service rules and by ignoring the necessary formalities to be fulfilled by Shri Rai," the report said. “All these facts point towards a definite collusive effort on the part of the joint secretary and secretary to accord undue favour to Shri Rai. The committee, therefore, feels that a separate probe needs to be carried out to investigate the role played by these two senior officers in the department in the whole matter," it said. The panel sought a time-bound CBI investigation that would “fix responsibility at the higher level in the then hierarchy of officers in the department of financial services". In August, the Supreme Court had issued notices to the finance ministry and IFCI on a public interest litigation that lists charges of financial irregularities and corruption against Atul Rai. The petition, filed by the Centre for Public Interest Litigation, seeks Atul Rai’s removal from his post, governmental control over IFCI along with conversion of ₹ 523 crore government investment from debt-to-equity, and for IFCI to be brought under the ambit of the Right to Information Act, 2005, as per two judgements of the Delhi high court that it is a “public financial institution".